Another of the fleets 28' Cruisers! 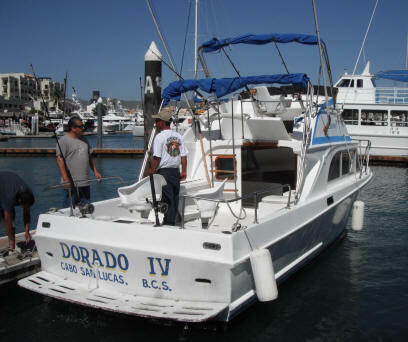 This California was recently refurbished with a turbo Yanmar making it quite capable of fishing most any areas even the large boats can get to as well the exterior was completely redone along with Electronics added (fish finder and GPS). Since back in the water it has been our top producing boat out of both Cabo & San Jose. 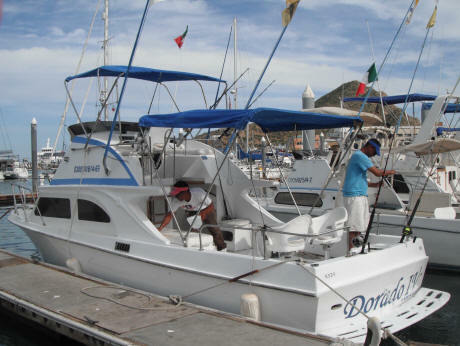 It is well equipped with Penn Intl. Gear, outriggers, flybridge seating, shade, restroom, live bait tank with Tuna tubes, two fighting chairs, VHF radio, Electronics (fish finder and GPS). 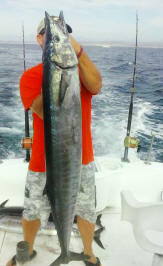 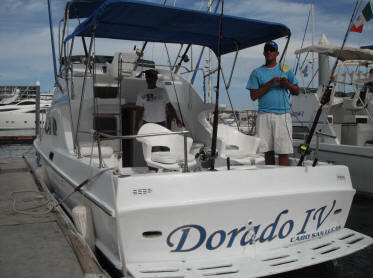 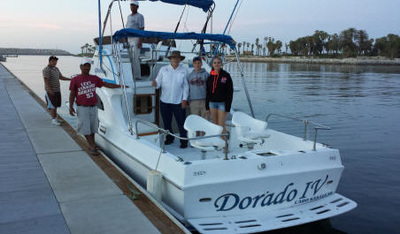 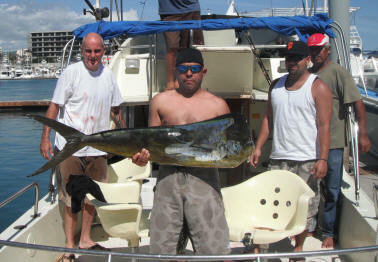 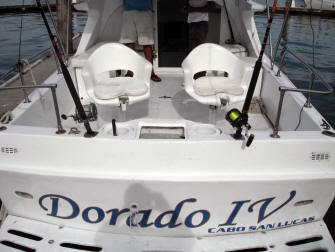 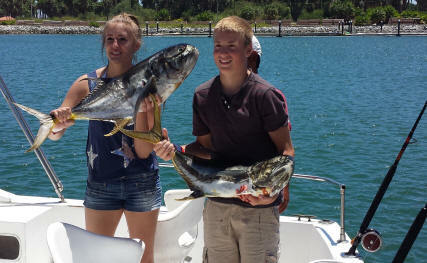 This is another one of our more popular boats so book early for a chance to fish on the "Dorado IV". 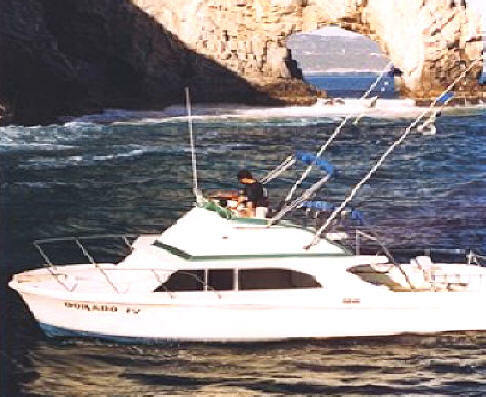 Why not add food, drinks, bait, & license so you don't have to worry about anything but getting on the boat! 2- anglers $115 day extra includes in addition to regular charter: 10-live bait, lunch, license, dock access fee & 12 drinks(all beer or mix of soda/water/beer) , 4- anglers inclusive option $190 day extra includes in addtion to regular charter : 10-live bait, lunch, license, dock access fee & 20 drinks(all beer or mix of soda/water/beer).